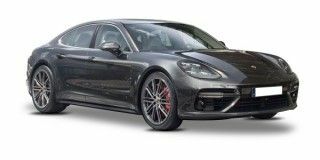 Porsche Panamera Turbo is the mid petrol variant in the Panamera lineup and is priced at Rs. 2.09 crore (ex-showroom, Delhi). This base variant comes with an engine putting out 541.773bhp@5750-6000rpm and 770nm@1960-4500rpm of max power and max torque respectively. The gasoline motor comes mated to 8 Speed Automatic transmission which is quite a joy to use. Porsche claims an average of 10.8 kmpl for this mid Turbo variant. Share your experiences with Panamera? With the new Panamera, Porsche has managed to stretch the four-door sports car concept even further. We drive it around the beautiful roads of Oman to give you a first hand report!